Boixader, D.; Recasens, J. 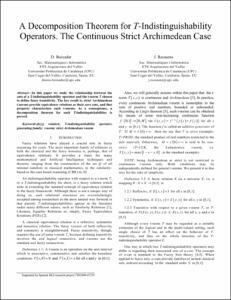 A Decomposition Theorem for T-Indistinguishability Operators : the Continuous Strict Archimedean Case. A: IEEE International Conference on Fuzzy Systems. "Provisional". Brisbane: 2012.